The HABIN set consists of a 2 and 3 seater sofa, both upholstered in a soft and comfortable off-white fabric. 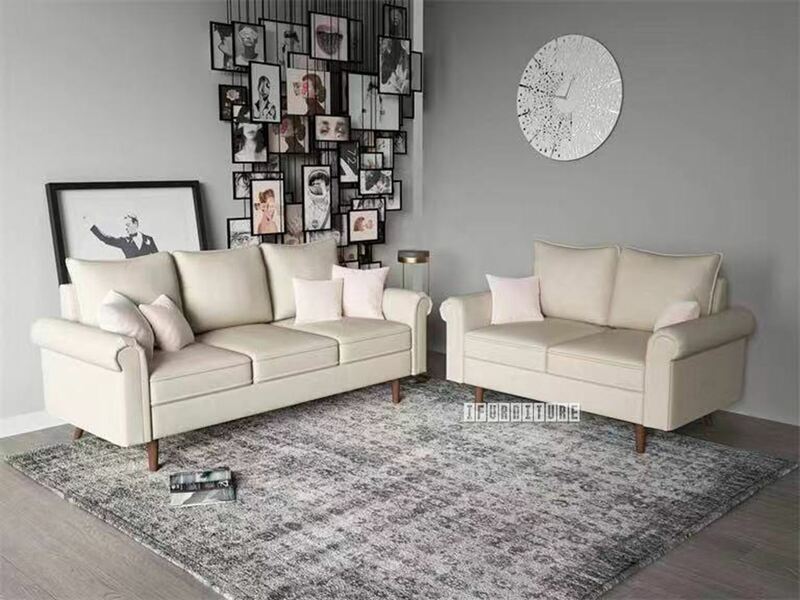 The HABIN set consists of a 2 and 3 seater sofa, both upholstered in a soft and comfortable off-white fabric. Each of the five seats has its own back and seat cushion, a preference for some. As well as the well padded and comfy seats and backs, there are traditional, rolled arms on these couches, style that continues to endure. The 5pc PENTA dining set is another smaller unit, just right for those smaller spaces.